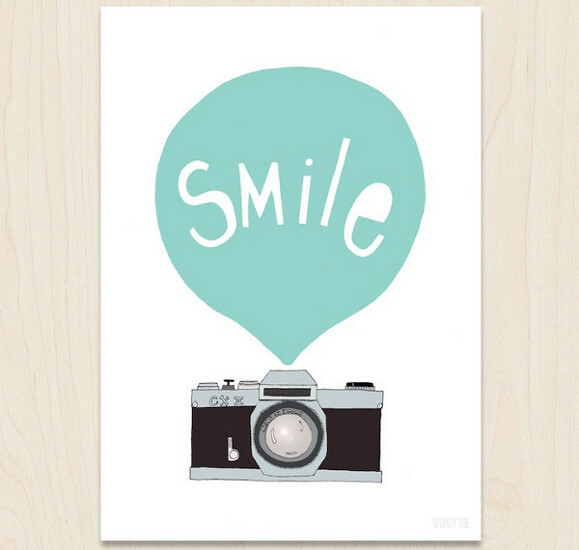 Here’s some modern yet whimsical artwork to brighten up those nursery walls! Traditional pen and pencil drawings get a new lease on life through the charming artworks of British artist Kerry Layton. Her Etsy shop Seventy Tree might be just the thing if you’re looking for a modern print with a pop of colour. With a background in illustration, pen and pencil drawing comes naturally to Layton. 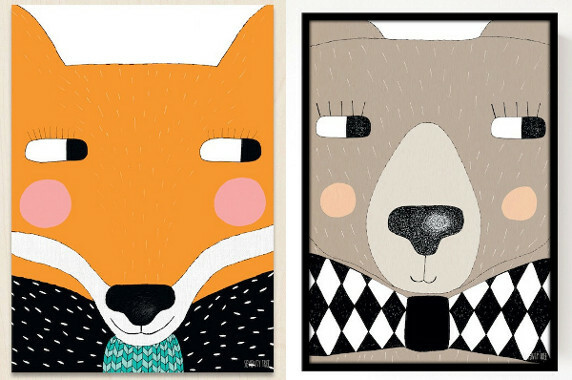 Seventy Tree is full of modern geometric based prints in varying sizes, but she admits that easily the most popular items she sells are her quirky and whimsical animal portraits. 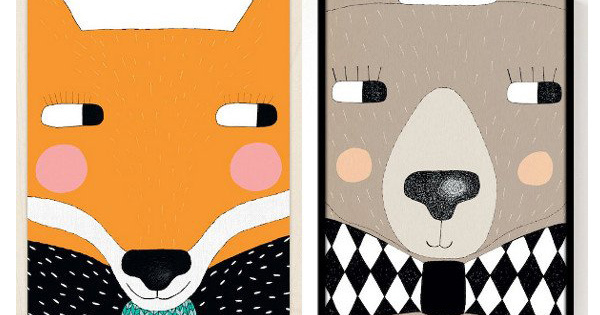 Just a glance at the faces of animals like Big Bear and Big Fox (at top) and you can tell they might have just scampered off the pages of a children’s book. Seventy Tree has prints in both A4 and A3 sizes (beginning at $27, plus postage) but there are also a range of smaller postcards with the same styles.